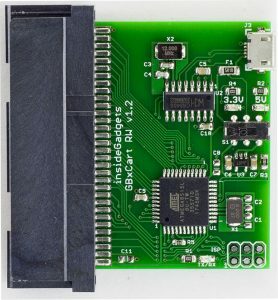 It’s been nearly 2 years since I last worked on my Gameboy Cartridge Reader (GBCartRead) and I never released a PCB but it has been something I’ve been meaning to do for a while which I can now check off my list. I received the PCBs for the Gameboy Cart Shield a few days ago, soldered all the components and noticed that somewhere along the lines I didn’t connect up the VCCs together so I have a bodge wire on the bottom of the board. Something I should have done was make the silkscreen text much larger than what it current is. 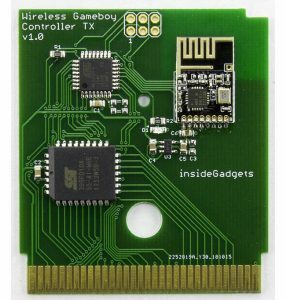 The Gameboy Cart Shield PCB is now available for sale. Very cool to see it come this far! This is the reason I follow you, love it! Hey, this is pretty cool and was wondering where do you ship to? I’d love to order but it’s going to be overseas. Yes we do ship overseas, postage is $3 via Airmail letter service. I’m expecting stock any day now, I’ve send you an email once I receive more stock. Hi Alex, thanks. Have you received any stock yet? 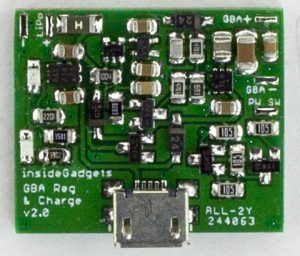 Hi, I live in belgium and i would like to order the kit version but, are the 2 74HC595D already soldered to the pcb ? 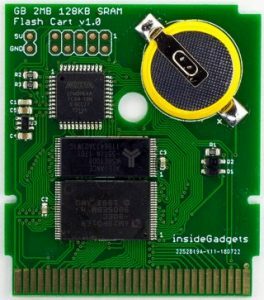 if not is it difficult to solder them and is it difficult to solder the gamecard slot ? i asked you that because i only have a simple soldering iron … and last thing, can you email me when you get them in stock ? 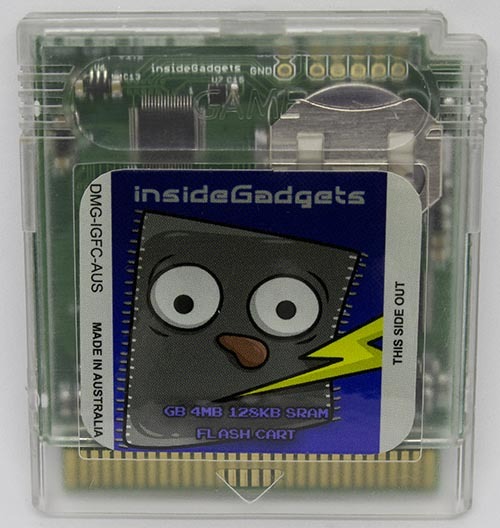 The GB Cart Shield is now back in stock. 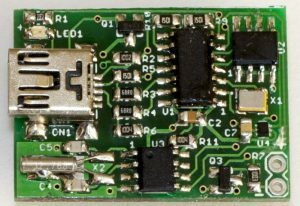 The 74HC595D are not soldered to the PCB if you buy the kit version (it’s just a bare PCB with no components soldered). You can solder the 74HC595D fairly easy if you have a good quality soldering iron with thin solder wire and/or flux will help. 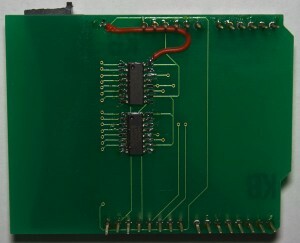 If you have a low quality iron, thin solder wire will help and you may need to switch to a thin solder tip if you find that you are bridging connections. 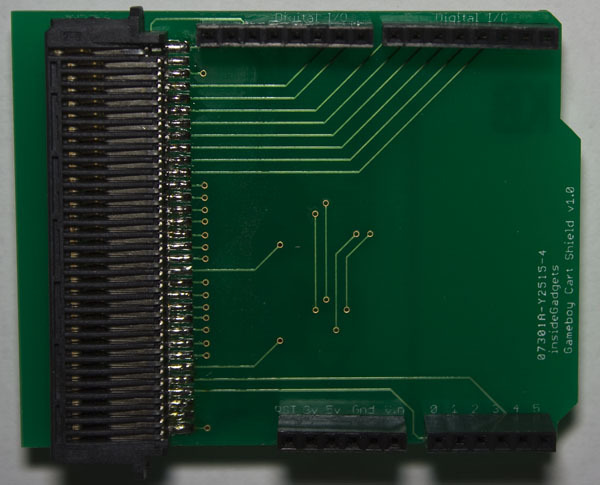 The cartridge slot isn’t too bad, but the pads are fairly close so it’s very easy to bridge pads, a solder sucker is useful for this one or thin solder wire will help. Thanks for you fast reply Alex ! 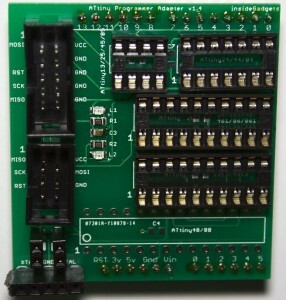 the leds and resistors aren’t soldered on the pcb in the kit version ? Thanks for the great tutorial. I recently found my old Gameboy Advance SP and I want to backup my save of Pokemon Ruby so I can start a fresh game. I was wondering if your shield works with the Gameboy Advance SP as well? Unfortunately this shield only works with Gameboy / Gameboy Colour, not with Gameboy Advance. 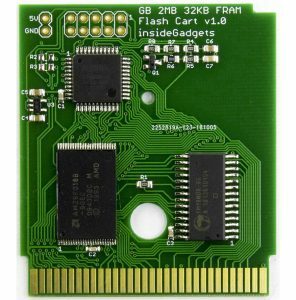 Yep the GB Cart Shield is in stock. I’ve build the cart, and I’m using last software downlodable in your web, in Windows XP. 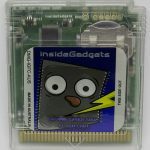 Identifies perfectly the cartridge, MBC, Title, RAM and ROM and dumps the rom OK, but always says: Logo CHECK: Failed. I use the C version of the dumper (not tried Phiton scrip). If you read the header a few times, does the title or anything else change? Have you tried a different cart as well? Could you please double check all connections are soldered well? Also check the cart is inserted correctly, sometimes it takes a couple of insertions to make proper contact. Do you have any bypass capacitors on your board? I would add one or two just to be on the safe side. insideGadgets © 2019 All Rights Reserved. 40 queries in 0.083 seconds.